Recently retired CFL star quarterback, Anthony Calvillo, will appear on April 12 from noon to 3 p.m. to sign autographs in the same format. The tickets to the Calvillo event are $20 each which includes an autograph, photo and a chance to meet Calvillo with extra autographs $10 per item with a purchased ticket. 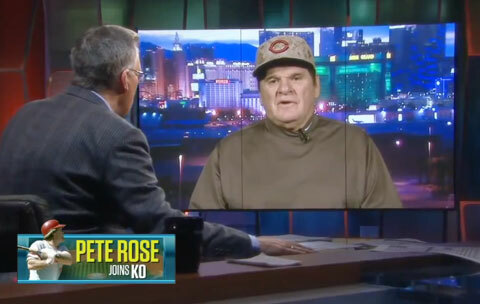 Watch the following video where Keith Olberman speaks to Pete Rose about progress on his MLB reinstatement, PED users in the majors and the 2013 World Series. Rose, also known for his nickname “Charlie Hustle,” is a former player and manager for the Cincinnati Reds. Rose played from 1963 to 1986, and managed from 1984 to 1989. Rose admitted to betting on baseball and on, but not against, the Reds. The issue of Rose’s possible re-instatement and election to the Hall of Fame remains controversial. If you would like to book Pete Rose for a speaking engagement, personal appearance or event, you can contact Pete Rose’s booking agent for appearance & speaker fees or call 800.966.1380.